Today, I will show you how can you investigate a corrupted PDF. For this purpose I have created a sample PDF. Before reading this article,I will suggest you to read this another article PDF Overview for better understanding of PDF structure. First, download this sample PDF and try to open this PDF. You will see this error message. 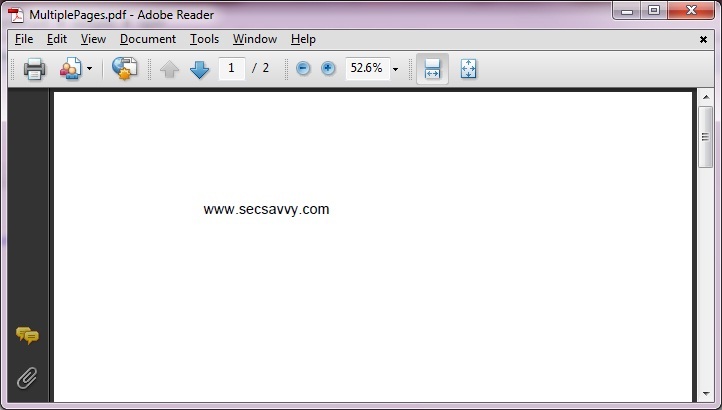 Now open this PDF in Notepad++. Note: I have not encoded the PDF Contents with different filters for simplicity. 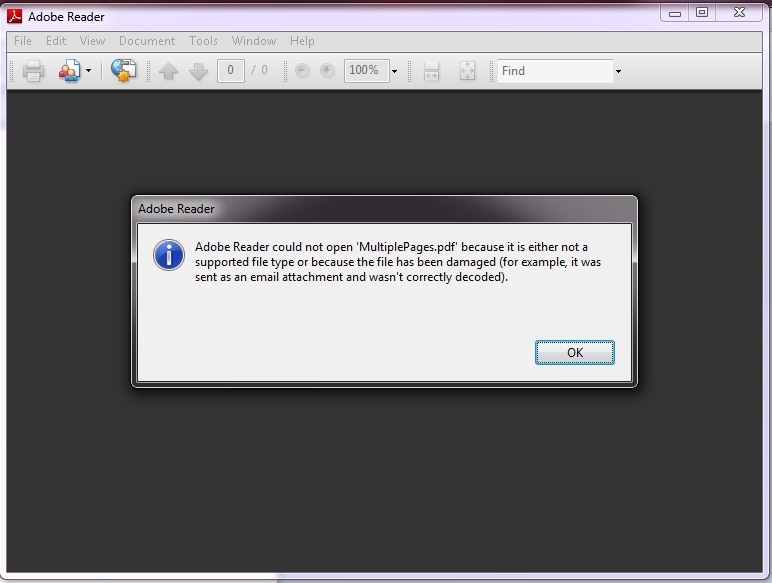 But in this case there is no header so we will add a PDF header and try to open this PDF. Now we are able to open this PDF. We can see that this PDF consists of 2 pages as shown in image above but investigate further to verify it. Now, we are able to find that this PDF has actually total 5 pages so edit the Count from 2 to 5 and open this PDF. Last page is pointed by 11 0 R indirect object reference. Contents keyword is used for describing the contents of a file . If this entry is absent then the page is empty. But in this object number 12 Contents is written as Content so PDF reader is unable to recognize the name Content so it ignores the Content without giving any error. You can download this corrected PDF from this link.